You may have noticed on this blog that we often “hammer home” the importance of persuasive copywriting. It matters. And your online marketing machine has other important “cogs” too. But there's an aspect of online marketing that's often misunderstood and ignored. That aspect is proper design, including website design. And remember this – your website is your online marketing hub; you need it to be “dialed in” for conversion if you are going to enjoy maximum online marketing success. Your website design is crucial for getting readers to stay on your site. It can help you keep them focused on the thing you most need them to do – make the switch from reader to customer. It's an indispensable part of a solid first impression. And in marketing, first impressions are very important. People buy from those they “know, like and trust”. A positive first impression helps you build that high level of trust you need your prospects to feel toward you. A positive first impression “sets the stage” for the rest of your visitor's experience on your site to be positive. It makes him more likely to look favorably on your content. It makes him more likely to read your content in the first place. If his first experience on your website is a negative, unpleasant one, he'll leave like he's trying to run away from a burning building. If his first experience with your site is positive, he's more likely to not only spend more time on the page where he entered your site, he's more likely to visit other pages within your site. And the more time he spends on your site, the more likely he is to become your customer! Some online marketers try to rely on their quality marketing content and copywriting to make a good first impression. And content and copywriting are very important to the overall success of your online marketing. But design is still the website element that gets your visitor's initial attention and makes the bulk of that all important first impression. You need both design and content. They can work together in a very synergistic fashion to give your online marketing more power and persuasion. Done properly for conversion, design helps “set the stage” for effective content marketing. It builds initial trust in the reader's heart and mind, and provides that all-important great first impression. It makes the reader more inclined to “buy” what you say in your content. It provides a very appealing “frame” for your content, helping to give it a clean, simple, uncluttered appearance. Design and content can and should work together powerfully, in a powerful manner greater than the sum of the individual parts of “design” + “content”. Folks in the online marketing world often obsess over website traffic. They spend much time, effort and money on SEO. They often invest a small fortune on PPC ads. A lot of marketers succeed at getting a large flow of traffic to their site – and traffic is important – but fail in a big way to capitalize on the benefits they could get from that traffic, because their poor website design gives visitors a terrible first impression and drives them away. So yes, first impressions are very important to your online marketing success. And nothing affects your visitors first impressions like your site's design. So let's continue talking about website design today. Let's focus on what to do, and what not to do to make a great first impression and help make your site a powerful online marketing tool! Before we go any further, I want to mention this: You are trying to succeed at online marketing. You aren't trying to win any art contests or dazzle your website visitors with how cool your site looks. If your site is giving a bad first impression, driving visitors away and costing you sales, do you really care how spiffy it looks? 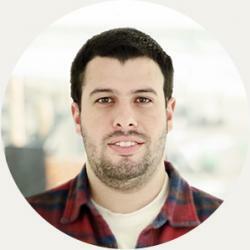 So design with one main goal in mind – the goal of enjoying a high conversion rate. If you are hiring a designer (and unless you are a qualified, professional website designer, you should), make sure he is on board with your goal. Make sure his goal is to help you experience more sales online, not feed his own ego with what a wonderful artist he is. And make sure is is qualified to design a site geared to high conversions. I think it's safe to say that most web designers are not. One of the most important qualities of a website optimized for high conversion rates is simplicity. Eliminate clutter. Avoid confusing design at all costs. Confusion kills conversions! I often say this on this blog, because I'm absolutely convinced it's true. So avoid any design element or scheme that's likely to confuse your visitor. Slow load times are another conversion killer, and they also give your visitor a very bad impression of your site. On the web, people are rarely patient, and they often aren't very forgiving. If you make them sit and wait for several seconds while your webpage loads, you won't make a positive first impression. You won't even come close! Make your site easy to navigate. Place large, easy-to-read nav buttons where your readers can easily find them. And have a very simple site navigation structure. If your reader gets lost at any time on your site, it won't give him a positive impression of your site or your business. This one may not affect his first impression of your website as much as the other tips we include here, but it will affect the quality of his user experience. And it can cost you sales. As with so much else in your online marketing, you need to empathize with your site visitor. Put yourself in his shoes. Try hard to imagine what he's going through and how he feels as he's entering your site for the first time, as he's spending time on your homepage (or other entry page) and as he's navigating from page to page. Review each and every part of your website, and ask yourself “Does this help or hurt my conversion rate?”. 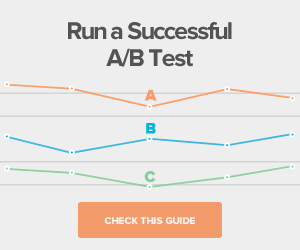 If it hurts your conversions, change it or scrap it! Never Lose Sight Of This! So why do you and I put all of this time and effort into building a website that works hard to give our visitors a great first impression, a first impression that builds trust for us and our business? It's because we want our website to make more sales for us. We're marketers. Our website has a job to do, and that job isn't to look pretty or dazzling, it's to make us more money! We want sales, not design awards. 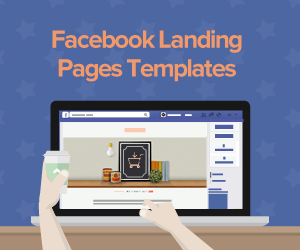 And landing pages are needed if we are to experience maximum online sales results. 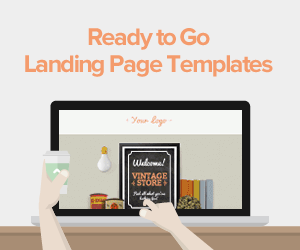 We need our landing pages to rock! In addition to simple, clean, uncluttered design, including relevant graphics, we must have persuasive copywriting and a compelling offer. And wouldn't it be great if you had an “unfair advantage”? Wouldn't it be great if you had a world-class landing page platform engineered to help you enjoy a higher conversion rate? A landing page platform loaded with outstanding features that provide you a truckload of benefits? Well, you can have this landing page “unfair advantage”. It's called Lander. And not only is it optimized to help you enjoy more conversions, it's the easiest-to-use landing page platform in the Universe! And you can try any of our plans free for up to 30 days. 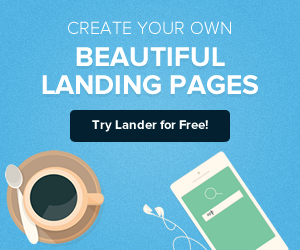 Lander can help you launch your online marketing campaigns into the stratosphere and beyond! So give Lander a free trial today!